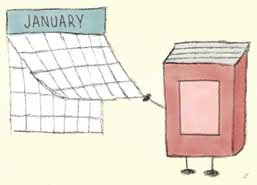 When I caught sight of the date on my laptop, I couldn't believe that January was at an end already! I'm really happy that I actually read AND blogged this month—yeah! I started the new year determined to get back on track with both of those things. It's also been lovely to have my cousin, Melissa, back on the blog! Look for some more posts from her soon. I don't watch much TV, but I'm totally into The Crown and recently binge watched Season 2. I also saw The Greatest Showman in theaters because after also watching Logan at the start of January, I needed to see Hugh Jackman in something a lot less depressing, LOL. Unfortunately, I ended the month catching a cold that just won't quit. While it's mostly cleared up, it's like I can't shake the last bit of it, which is annoying. The weather's inability to make up its mind whether it should be in the high 70's or close to 40 probably isn't helping. Lol peanut butter hearts sound like a good way to start a month! Glad you had a good January, and hope you feel better soon! Isn't it weird there's NO Game of Thrones to look forward to this year? Gah we better get the next book soon! It is SO weird! Everyone keeps saying that the final season is more than going to be worth the wait, but I don't think they've tried waiting, lol! You think GRRM could help us out a little here and finish TWoW already so we have SOMETHING to tide us over for a while! Thank you! They're definitely a weakness of mine, lol.